Take your first step towards a new career in Cookeville. 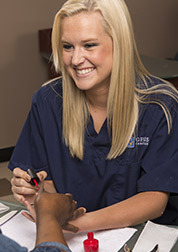 The Cookeville campus offers students state-certified academics, counseling and placement services. It’s support that Genesis students enjoy as they learn the skills and receive the necessary hours of training to qualify them to take and pass the exams required for state licenses. Cookeville is an educational hub for Putnam County, serving students from across the greater Nashville-Chattanooga-Knoxville areas. To learn more or to set up a tour of the Cookeville, Tennessee campus, click the button below to fill out our contact form and an advisor will be in touch. 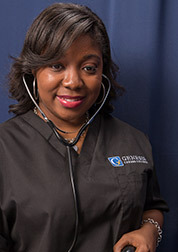 With the healthcare field growing at a steady rate, there are many job opportunities each year for Medical Assistants. As a Medical Assistant, you will play a vital role in the operation of a physician’s office or other health-care facility. Our esthetics program will teach you the science of skin care, so you can do facials and full-body treatments at health spas, beauty salons, hotels and doctors’ offices. Find out if our esthetics program is a good fit for you. 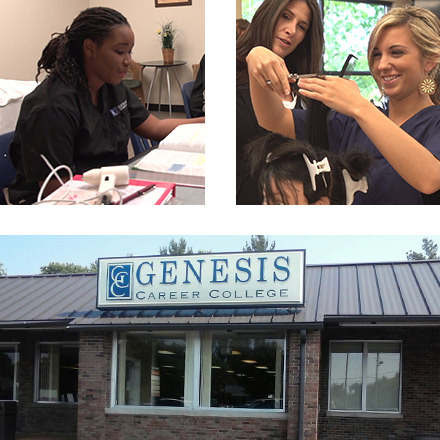 The Genesis Career College Nail Technician Program includes instruction in manicures, pedicures and artificial nail application as well as the science of professional nail care. Genesis’ new 36-week Dental Assistant program will give you the tools and knowledge you need to play a vital role in the operation and management of dentists’ offices. Learn more about the massage therapy program, offering advanced training in light- and deep-tissue massage, aromatherapy, stone massage, myofascial massage and more. Our Cosmetology Program incorporates 1500 hours of comprehensive hands-on learning to provide a complete understanding of beauty. The program includes instruction in shampooing, permanent waving, hair cutting, color and texture, fashion trends, makeup and state licensing preparation. Providing you with real-world experience prior to graduation, Genesis offers externships at high-quality businesses in your future field.Externships last for four weeks, and are available to students who have completed all call and lab work.Ready for your externship? Contact your career services department today! Whether you’re a Health & Medicine or Beauty & Wellness student, improving your career skills is a crucial part of securing a job in your industry.These free, industry-tailored, week-long courses are available twice per year for Beauty & Wellness students and every five months for students in the School of Health & Medicine.Contact your career services department to set up an appointment for a group session or to meet one-on-one, whichever works best for you. Taking part in a mock interview can be invaluable when you’re preparing to land your dream job and start your new career. You have the answers in your head but it can be hard to tell someone else, especially when you’re thinking fast under pressure. Available at every location, these free, 30-minute mock interview courses are structured to prepare you for success. So go ahead – land that dream job.Contact your career services department today! Once you’ve completed your coursework and finished resume-writing and mock interview courses in the Genesis career center, you’ll be prepared to take your state board exam. Getting ready for this final step of your certification can seem daunting, but our test instructors are here to help. These mock state board exams will help you learn timing, strategy and focus, and they’ll give you a great sense of what to expect. Contact your career services department today! Each campus hosts a wide variety of guest speakers, offering you the chance to learn and connect with someone in your industry in the immediate area.Find out who is coming to your campus next by contacting your career services department!